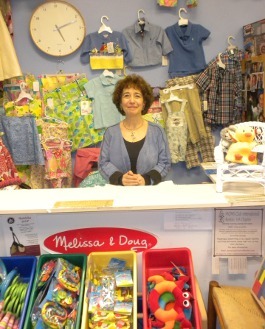 Susann Gerstein has created a warm, nurturing store with small change consignments. Any mom on a budget in the Washington, DC area knows about small change consignments, located at historic Lake Anne Village Center in Reston, Virginia. Since 1981, families have visited this small shop to find brand name children's clothes, toys, and equipment. In fact, many second and even some third generation families are shopping and consigning at small change, a fact that delights owner Susann Gerstein. Susann and two friends opened small change to make it easier for parents to recycle all those things that their children need, but quickly outgrow. Today, it has become a gathering place for mothers and grandmothers looking for brand name and imported clothes, shoes, dancewear, cleats, toys, videos, strollers, cribs, high chairs, exersaucers and joggers. You can even find one-of-a-kind items from all over the world--a nice reflection of the cultural diversity in Reston. It has been cited as one of the best consignment shops for children, mothers-to-be and the whole family in the Annual Washington Families Survey, and winner of the 1992 Best of Reston Award for Community Service & Business Excellence for its generous donation to families in need. In one small shop, small change embodies all of the values of Reston. We hope it remains a vibrant part of the community for years to come. If you are in need of children's consignments, visit their Facebook page for deals and offers. 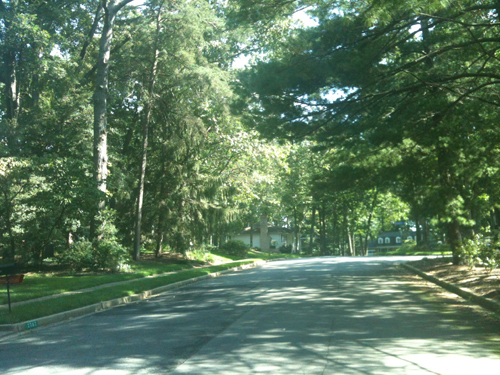 The mature trees in this part of South Reston make the neighborhood feel like it's miles away from the city, when it's only a few miles from Reston Town Center. 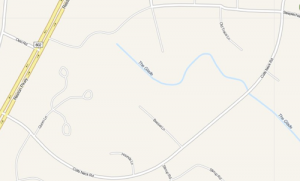 If you want to be surrounded by nature while living in a populated area, the neighborhoods around Steeplechase and Colts Neck in South Reston are the perfect spot. The homes in this area of Reston were built in the 70s. These single-family homes contain a mixture of architectural styles--but they all have been well-maintained and cared for over the years. The thing many visitors notice first is how private each spacious lot is. The trees in this neighborhood are fully matured, making you feel like you are tucked away in the woods and not a few short miles from Reston Town Center and the Toll Road! 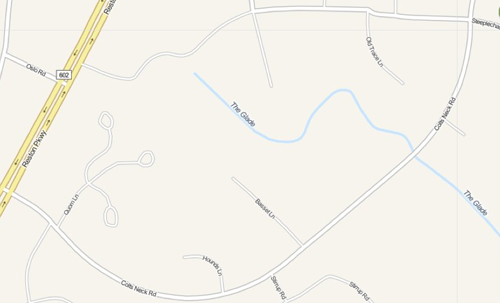 The Steeplechase/Colts Neck area is just off Reston Parkway--easy access to the Toll Road and Reston Town Center. There are Reston Association recreation areas nearby, with playgrounds and facilities for anyone who wants to use them. There are also miles of nature trails that are perfect for dog walking, running, or just enjoying a beautiful day. Neighborhood children attend Hunters Woods Elementary School, Langston Hughes Middle School, and South Lakes High School. Both Hunters Woods Village Center and Fox Mill Shopping Center offer easy access to grocery shopping and quick dining. As part of Reston Association, residents also have access to nearby pools and tennis courts. 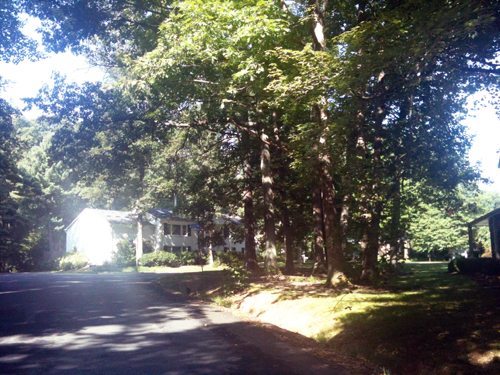 If you are a nature lover, this is the neighborhood for you! A few weeks ago I posted some tips for getting your home physically ready for the appraisal. Whether you are selling, refinancing, or looking for a home equity loan, the shape your home is in will make a difference in the home appraisal. But there are a few more things you can do to make the appraiser's job easier. The appraiser needs to know what kind of improvements you've made. So keep a list of anything you've done in the last 15 years--the date and the approximate cost. It matters whether your air conditioner is 5 years old or 25 years old. Something as seemingly small as replacing a toilet also counts. Find a plot map of your home. Some HOAs will give you one when you buy your property. The appraiser will go look it up, but they'll appreciate it if they don't have to. Regardless, they need to know your property lines and the actual square footage of the structure. Find comps and have copies of them. This is also something they'll do, but if you have already done it for them, it helps--especially if it's a recent sale that didn't go through a real estate agent. Those comps can take a while to show up on their databases. Make a list of all the improvements in the neighborhood, such as the Metro line coming in, a new high-end grocery store, or a recreation center--anything that makes your neighborhood more appealing to buyers. It's unlikely that your appraiser lives in your community, so let them know what a great location you're in! Once you hand over your helpful information, step back and let the appraiser get to work. By making your property look it's best and by giving your appraiser the additional information they need to make a good assessment, you will be well positioned to get the highest valuation from your home appraisal. The other day, a friend told me her appraisal for a home equity loan came in $40,000 less than comps in her neighborhood. Why did this happen? Because she didn't realize she needed to clean and straighten the whole house (especially the huge cobwebs in the windows); it was a dark, rainy evening and the house looked dingy from the outside; and they need to do some upgrades. Granted, the home equity loan is to pay for the upgrades. But still, $40,000 below market value? That is significant. Here is the thing to remember for any appraisal--whether you're refinancing, apply for a home equity loan, or selling: appraisers are people, and they are just as influenced by physical appearances as buyers are. Your house has to look it's best when the appraiser comes through lest they appraise the property much lower than it's worth. My friend's story is so common, I decided to do a two-part series on home appraisals. Part one includes the steps you need to take to make your property physically appealing. In part two, I'll discuss the things you can do to make the appraiser's job easier. To start, know that physical appearance matters. A lot. Appraisers can assign an "effective age" to your home--this is the age they assign after considering how recent the updates are and the overall condition. Torn wallpaper, vinyl floors curling, threadbare carpets, chipped paint--all of these things add up to the overall age of your home. And that will drive appraisers to comps with the same effective age. So, make your house look good. 1. Spruce it up. Every appraiser I know agrees that it's important to keep the look, feel, and condition of the property as updated and cared-for as possible. Appraisers probably won't look under your bed, but they will look at overall how clean the home is. Clean the marks of your walls and the fingerprints around door handles. Wash your windows. Replace the peeling vinyl floor. All of these things actually affect the value of your home, and they add up. This is also a good time to do some of the upgrades you've been thinking about. Paint, new carpets, lights, and plumbing fixtures are relatively low cost upgrades that can make a huge difference in your appraisal. And keep in mind that appraisers often value houses in $500 increments. Repairs that should be made count against your property. So fix leaky faucets, stained drywall, and cracked windows. Make a list and call your handyman--these things can often be knocked out in one day. 2. Address the curb appeal. The appraiser will start the appraisal at the curb, so make sure the exterior of your house looks good. Mow the lawn and do some weeding. If your home needs a good power washing, do it. 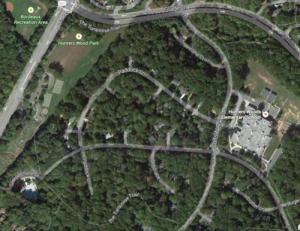 Many Reston homes tend to collect algae on the roofs (a downside of the wooded communities)--get it cleaned. You want the house to look like it's in mint condition so that it isn't compared to foreclosures or other lower-value homes. 3. Make it comfortable. Along the lines of making your home physically appealing is ensuring it's physically comfortable while the appraiser is there. You may be comfortable in a cold house, but your appraiser may not be. Turn on the heat in the winter and the air conditioner in the summer. You also don't want them to think the heater or air conditioner is broker! Improving the physical appeal of your property alone will increase the value of your appraisal. In part 2, I'll talk about some of the other things you can do to boost that appraisal.